These days we think of Coleridge primarily as a poet, but when he was writing The Rime of the Ancient Mariner he had playwriting very much on his mind. After collaborating with Robert Southey on the verse drama The Fall of Robespierre, in 1797, the year before the first version of the Rime appeared, Coleridge was commissioned by Richard Brinsley Sheridan, the manager of Drury Lane Theatre to write a play. He began writing Osorio, an Elizabethan-style drama that eventually became Remorse. It was going to be published with Wordsworth’s drama The Borderers to raise money for a German tour. When that project failed, some of Osorio made it into Lyrical Ballads (‘The Dungeon’ and ‘The Foster Mother’s Tale’). Given he was working on a drama that was to be presented (so he hoped) at an actual theatre, the stage and its various practices were not far from Coleridge’s mind as he began writing the Rime. He would have been mindful, for example, of how a story could be presented not just through the spoken word, but by the mechanics of stage effects. And those effects appear in the poem. The Rime is a series of ‘set pieces.’ It consists of visually arresting descriptions reminiscent of the decorative backdrops to performances at the contemporary theatre, such as the description of the Mariner’s ship which, when becalmed, becomes part of a scene painting: ‘As idle as a painted ship / Upon a painted ocean’. 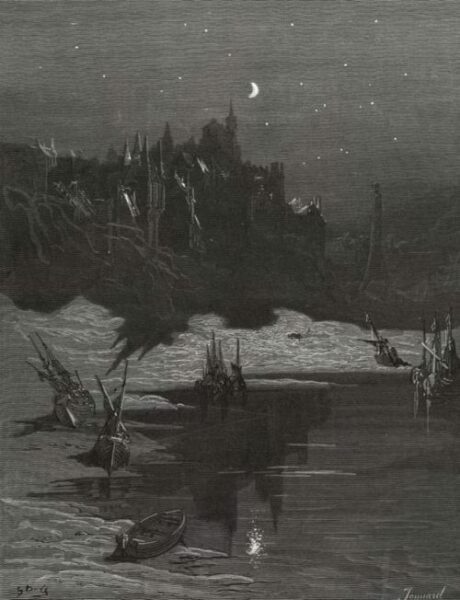 Images such as these are why Gustav Doré could produce powerful illustrations of the Rime in 1876 and why his work perfectly complements the poem. Because the whole tale is a series of tableaux, of vividly realised pictures against which the Mariner’s tale is set, it is easy to imagine his ship emerging into view upstage as painted flats of the ‘Ice mast high’ slide apart in front of it; or to envisage the hulk of the ‘Spectre-ship’ ship emerging from the wings, gliding on grooves past the doomed Mariner and his crew. Such images in the poem are also, as in a theatre, mediated through light to mute or enhance colours to create the right ambience. The ‘dismal sheen’ of the surrounding ice, that subdued light that the Mariner describes is reminiscent of how atmospheric effects were created in the contemporary theatre when coloured silks or transparencies were dropped down in front of a scene and lit from behind. 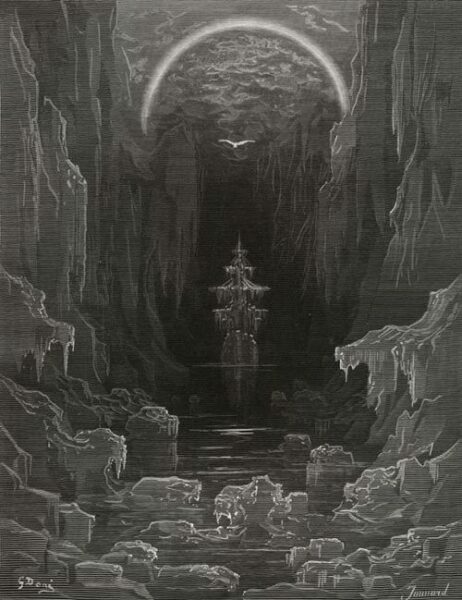 That feature would not just show the muted light of the ice cliff, but Coleridge describes the effect of these transparencies when he has the Mariner talk of the moon that shines through the fog as the albatross perches ‘on mast or shroud:’ ‘thro fog smoke-white / Glimmer’d the white moon-shine.’ That same effect, a gauze or silk hanging, would create the ethereal whites in the poem, such as when the moon ‘bemocked the sultry main / Like April hoar-frost spread’ and the light is diffused throughout the harbour that is ‘white with silent light’. There I might be stretching a point. But, even if subconscious, that the Rime had a certain staginess was obvious to one contemporary. William Wordsworth specifically criticised the poem for its performative and pictorial qualities. He described it as a series of happenings decorated with ‘too laboriously accumulated’ imagery. He considered it to be at odds with the philosophy of what was by now his Lyrical Ballads, that of creating poetry centred around emotions recollected in tranquillity in which he advocated a verse form that thinned out such pictorial, stagy mediation, in favour of a more direct connection with poet and reader. To that end, he placed Coleridge’s poem at the end of the first volume of the 1800 edition of the Ballads. He moved it upstage, if you like. In the middle, at the back where it could not properly be seen. Is the Ancient Mariner a zombie? This is not the irrelevant question you might think. Recently, a replica of a medieval ship sailed into Swansea offering tours themed around Coleridge’s Rime of the Ancient Mariner, including the sight of what the BBC news website referred to as ‘zombies’. Clearly, there is a subconscious association with Coleridge’s ‘ghastly crew’ and that peculiarly modern horror phenomenon. It is understandable. In the poem there are creatures we might think of as zombies. When Death and Life-In-Death gamble for the lives of those on the ship, Death wins. The account of his reanimation of the crew offers recognisable elements of the modern zombie. They died – ‘their souls did from their bodies fly’ – and were brought back to life. Being ‘lifeless’, they are not the people they once were, as the Mariner notices when he stands next to his nephew who does not acknowledge him – ‘he said nought to me’. If we define a zombie using the modern definition of a corpse operating from some deep primal instinct, then that does not define the Mariner. In the first instance, he does not die. 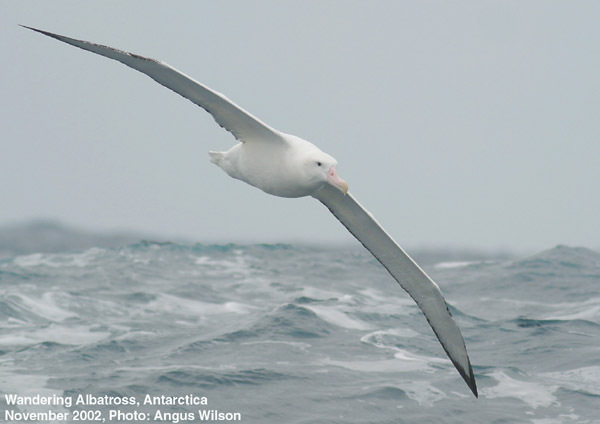 That is part of his torment in the poem, his punishment for killing the albatross. In the scene with Life-In-Death he sees ‘four times fifty living men’ fall and witnesses their souls escaping their bodies; but, as he tells the Wedding Guest, ‘this body dropt not down’. He himself is doomed not to die but to endure. Not only endure, but be fully aware of what is happening to him. Yet, there is one possibility that the Mariner is some form of a zombie. It all depends on the definition. Marina Warner discovered an early reference to the word in the work of Robert Southey, mentioned in her work Fantastic Metamorphoses, Other Worlds: Ways of Telling the Self (2002). In volume 3 of Southey’s History of Brazil (1810-19) she saw that he glossed the title ‘zombi’ as a leader of a rebel tribe who was once defined as akin to ‘the devil’ but was, he considered, only really thought to be part-human, part divine. Coleridge, the assiduous annotator agreed. The zombi was not ‘the’ Devil. Instead, he wrote in his copy of the book, if the zombi was part-human, part God, it was only ‘a’ devil. This change of article makes an important distinction. ‘A’ devil means that the zombi was not Satan himself, just one of his tribe of minor demons; but Coleridge was thinking along classical, rather than Biblical lines. In the original manuscript of Kubla Khan, written when he was frowsy with opium, a woman is described as ‘wailing for her daemon lover’. His subconscious recollection of a ‘daemon’ rather than a ‘demon’ corresponds with the classical idea of a creature which inhabited neither the earthly realm or the heavenly, but was a mix of both. Here Coleridge separates out the daemon from the other kinds of spirits, those associated with the Christian religion. Daemons do not come from heaven like angels and saints. 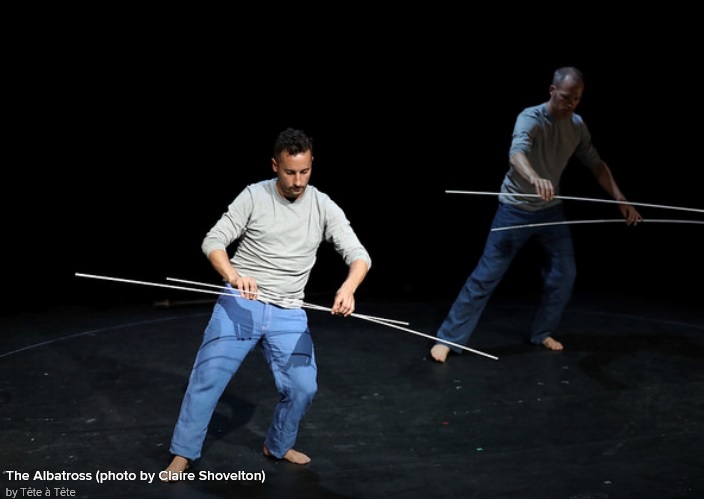 They inhabit the space in between – ‘earth or middle air’. The Mariner has the main characteristic of those daemons just described: he is neither alive nor dead. As we have seen, the crew are taken by Death and the gloss tells us that ‘LIFE-IN-DEATH begins her work on the ancient Mariner’. In other words, he remains in the power of one keeping him in a state suspended between living and dying. The Mariner is himself aware that he is in such a state. He recognises that he is alive simply because he still has physical sensations and associates death with the loss of these. At one point in the poem, he thinks that he has died because he no longer feels his limbs, but is possessed of a lightness which makes him think that he had ‘died in sleep / And was a blessed ghost’. 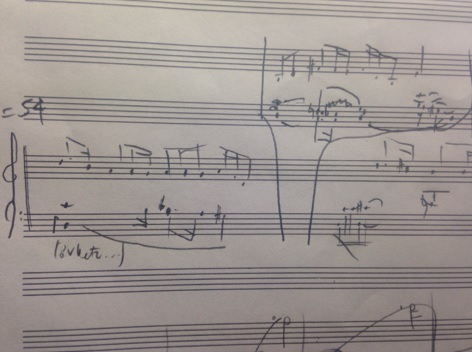 Such a longing for death is also an indication that he realizes he is not a spirit, emphasised in the marginal gloss. The Wedding Guest fears that he is talking to a ghost. 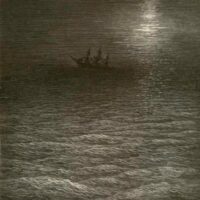 He is afraid ‘that a Spirit is talking to him’, but the Mariner ‘assureth him of his bodily life’. The word ‘bodily’ being important here as these two notes emphasise that the Mariner has both the appearance of a spirit and a corporeal reality. Which means we can suggest a reasonable answer to the question. The Mariner does not conform to the twentieth-century definition of a zombie, the reanimated corpse. Neither is he Southey’s chieftain of a rebel tribe; but he does conform to Coleridge’s amendment to Southey’s definition of a zombi. He is a creature that exists in a state of suspension between life and death; which, according to Coleridge is also a daemon. In which case we can reasonably ask – is the Ancient Mariner a zombie? Not quite: but he is a zombi. 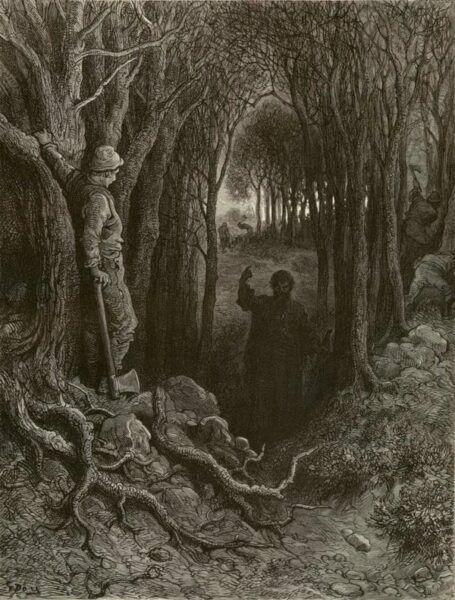 All the illustrations to this post are by Gustave Doré (1832–83). Rebekah Owens is a writer on matters literary from the Renaissance to the Romantics. Her book on Shakespeare’s Macbeth is due out later this year. She has been known to make the occasional excursion into the literature of the twentieth- and even the twenty-first century. ‘What has Coleridge got to do with Wales?’ This was the question most frequently posed by interested audience members, participants, walkers, and passers-by during the Coleridge in Wales events at the Hay Literary Festival this year. In June 1794 Coleridge departed Cambridge to spend the summer on a walking tour of Wales. He stopped off in Oxford, and left buoyed after three weeks with his new friend Robert Southey, hatching Pantisocratic plans and dreaming of a new, just society together. Covering more than 600 miles in under two months, Coleridge and his walking companion, Joseph Hucks, climbed mountains, drank and discussed politics with the locals. Coleridge wrote poetry, notebook entries and letters along the way, and Hucks published an account of the journey in A Pedestrian Tour through North Wales in a Series of Letters the next year. Coleridge would “dart into Wales” again in 1798, to visit John Thelwall with Dorothy and William Wordsworth. However, he was particularly struck by this first uninterrupted experience of the Welsh landscape in 1794, and, as Richard Holmes observes in his biography, “for the first time [he] showed his passionate response to wild nature”. Coleridge in Wales is an ambitious, exciting project, involving an 80-day journey around Wales and an extensive (and growing) programme of talks, events, conferences, collaborations, performances, readings, walks and swims. Inspired by Coleridge’s own travels through Wales and masterminded by classical singer and facilitator Richard Parry, it is a celebration of community, landscape and culture, and an ongoing conversation about Coleridge’s life and works. I joined the project as a journey-maker and travel writer with a personal and academic interest in Coleridge, and arrived in Pandy (16 miles from Hay-on-Wye on the English-Welsh border) to speak about my own experiences of solitude at sea in relation to The Rime of the Ancient Mariner, and to co-lead a walk over Hay Bluff as part of the Hay Festival. After a rich evening of stories, discussion, poetry and song in Pandy, the morning of the walk saw an eclectic group – including a clockmaker, singers, poets, students, academics and Cardiff Metropolitan University artists Chris Glynn and Dan Peterson – meet to hike the 16 miles to Hay along the Offa’s Dyke Path. One of the UK national trails, Offa’s Dyke path is 177 miles long, named after the dyke ordered by King Offa in the 8th century, and thought to have been built to divide his Kingdom of Mercia from rival kingdoms. It was a hazy day, sunny but not too bright, and just right for walking. After crossing a rough field we had a steepish ascent up a small road, then a trackway, before arriving at the top of the ridge, which we stayed with throughout the day. The heather was not yet in bloom, but at one point we saw a red kite, and a little later a skylark sang loudly above us. In true Coleridgean diversity, conversation ranged from mountain navigation, to art, to ornithology, to humanitarian crises. Years later, in 1830, Coleridge would recall the incident: “I took the thought of ‘grinning for joy’ in that poem from a friend’s remark to me, when we had climbed to the top of Plinlimmon [Penmaenmawr] and were nearly dead with thirst. We could not speak from the constriction, till we found a little puddle under a stone”. Earlier in the tour, he had written of a similar instance (in a letter to Southey on July 13, 1794): “From Llanvunnog we walked over the mountains to Bala – most sublimely terrible! It was scorchingly hot – I applied my mouth ever and anon to the side of the Rocks and sucked in drafts of Water cold as Ice”. Rather more prosaically, I accepted some extra water from kindly walking companions. 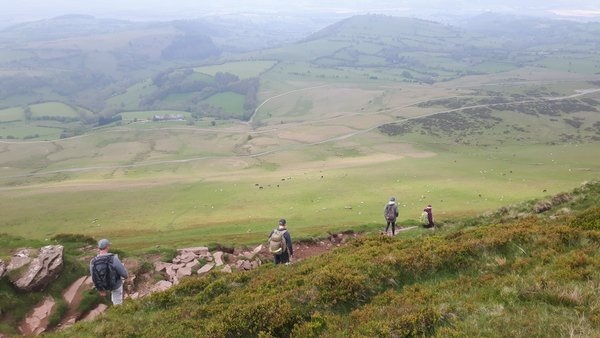 Coming down from Hay Bluff (677m) we followed the path through a few more miles of farmland, negotiating groups of cows with young calves, and wading through fields full of buttercups, which covered my boots with a yellowish-green veneer. It had been a long day, and we only just made it to the festival in time for the Coleridge in Wales talk; without stopping, we walked into Hay village, along the road to the festival site and onto the stage, with all the sweat and dust of the mountain to add an authentic element to the event. 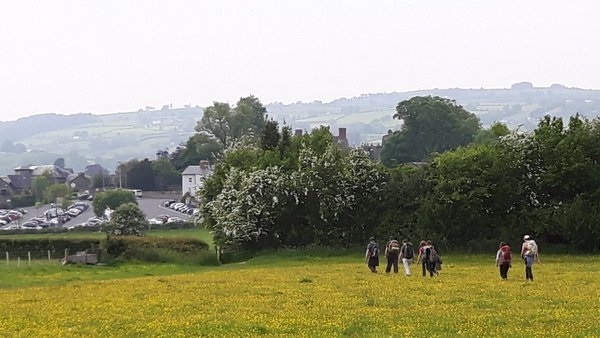 The second day of Coleridge in Wales at the Hay Festival saw Richard Parry and eighteenth-century historian Penelope Corfield (Royal Holloway, London University) lead a walk from Glasbury, near Hay-on-Wye, to Llyswen in the steps of Wordsworth, Coleridge and John Thelwall. After visiting Coleridge and Wordsworth in Somerset in the summer of 1797, Thelwall went in search of his own simple retreat, finally settling at Ty Mawr in Llyswen where he lived, farmed and wrote between 1797 and 1801. He was visited there by Coleridge and the Wordsworths in 1798. A mile or so into the walk our small band of writers, artists and academics were treated to an impromptu reading of Thelwall’s ‘The Phenomena of the Wye during the Winter of 1797-8’ by Steve Poole, Professor of History and Heritage at the University of the West of England. Thelwall had written this essay for the Monthly Magazine in March 1798, reflecting on his first winter at Llyswen and on the beauty of the Wye: “you might even fell every tree, and exterminate every shrub, without destroying the sublimity, or even the beauty of the scene; for the river and the mountains would still remain, the solid features of the landscape would be yet unaltered”. Sitting on the banks of the Wye amid the green lushness of May, we found it difficult to imagine the landscape stripped of all vegetation. Richard decided to follow the reading with a powerful rendition of ‘Rolling in foaming billows’ from Haydn’s Creation, which describes the emergence of rocks and mountains on the earth before the existence of any flora. On our arrival at Ty Mawr Penelope described how the house had been changed and extended since Thelwall had lived there. The current occupant kindly allowed us all to tramp through the old timber front door, which, despite having been moved from the other side of the house, was the door that would have been used by Thelwall, as well as by Coleridge and the Wordsworths when they visited. The owner of Ty Mawr had also told Coleridge in Wales that this was the best place on the Wye for swimming, so I thought that it would be a shame not to test it out. Refreshing and not too cold (I estimated it to be around 12 degrees), we could swim to the shingle beach on the other side and look back at the steep bank and up towards the house. Two of us swam, and others dipped their feet in the fresh but cloudy water, which had been stirred up by a dramatic thunderstorm the night before. After swimming we were even treated to a shower in (the extended part of) Thelwall’s house, before heading back to the village hall for lunch and drinks (generously sponsored by the John Thelwall Society). Over the remains of our picnic, we heard poetry declaimed in character by ‘Coleridge’ (Richard Parry), ‘Thelwall’ (Steve Poole), and ‘Wordsworth’ (Penelope Corfield), which complemented the conversations that we had been having. At the end of the event, Richard left on his bicycle to continue with Day 16 of the Coleridge in Wales journey and the rest of us headed back to Hay before dispersing back to normality. Although the ostensible reason that walk participants might have chosen to get involved with Coleridge in Wales at the Hay Festival was to find more about Coleridge and to experience the type of landscape through which he travelled when visiting Wales, it also provided space for wide-ranging discussion. It was a fascinating event to be part of, and I look forward to the further collaborative events, research and writing that are likely to grow out of the connections that were established in the fields and rivers of Wales.